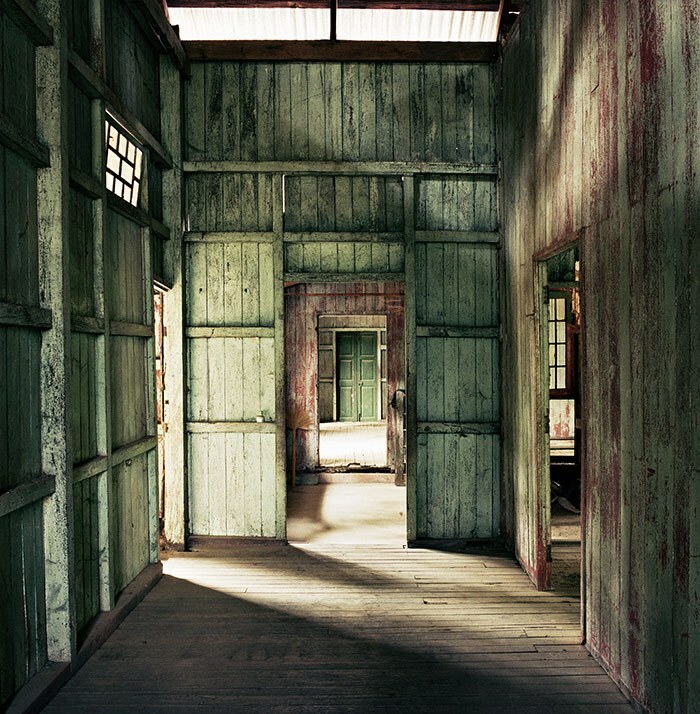 The German photo artist Beatrice Minda focuses her work on interior spaces. This project took her to Iran and before that to her home country Romania, where she spent her childhood within the German minority community. Also in Myanmar people opened their doors and allowed her to look into their houses. The private home is a safe haven, a place of retreat. 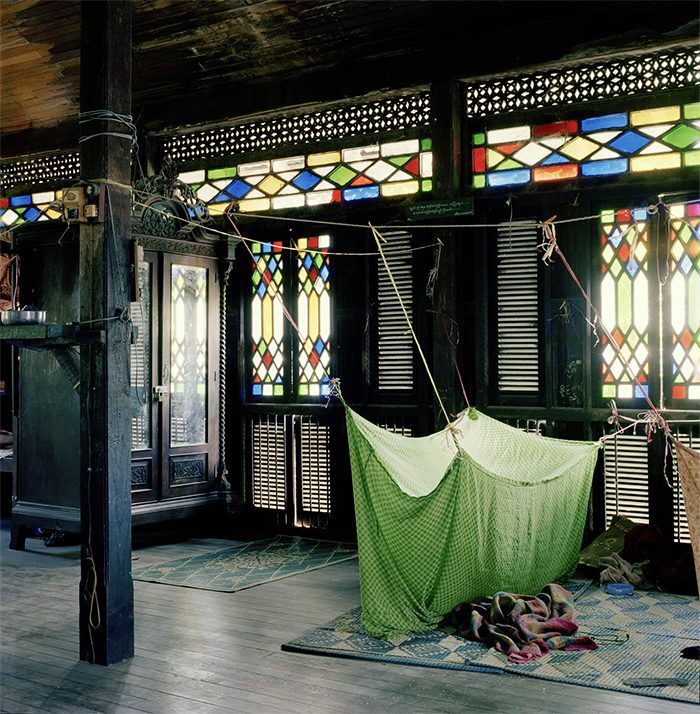 The Burmese home too offers refuge, however fragile, against influences from the outside. If you take a look at a living space you will always find traces of its residents. Minda searches for these traces without being intrusive or revealing something private. Her photographs are not voyeuristic, and show instead the perspective of a quiet observer. 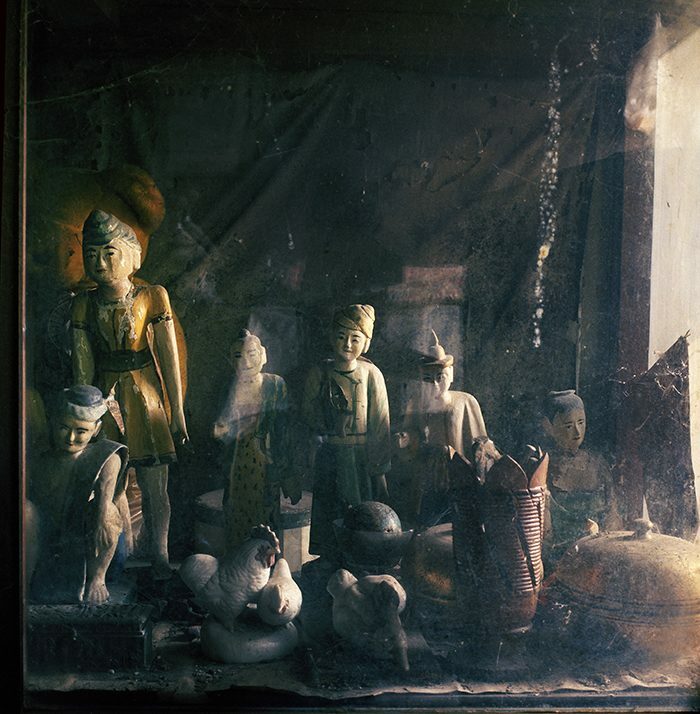 Through the interplay between what she sees in a room and what she knows about it and its residents Minda creates a vivid atmosphere in her pictures. A deeper image of the place emerges which gives the observer a certain inkling of its essence, although he can only guess the story behind it. 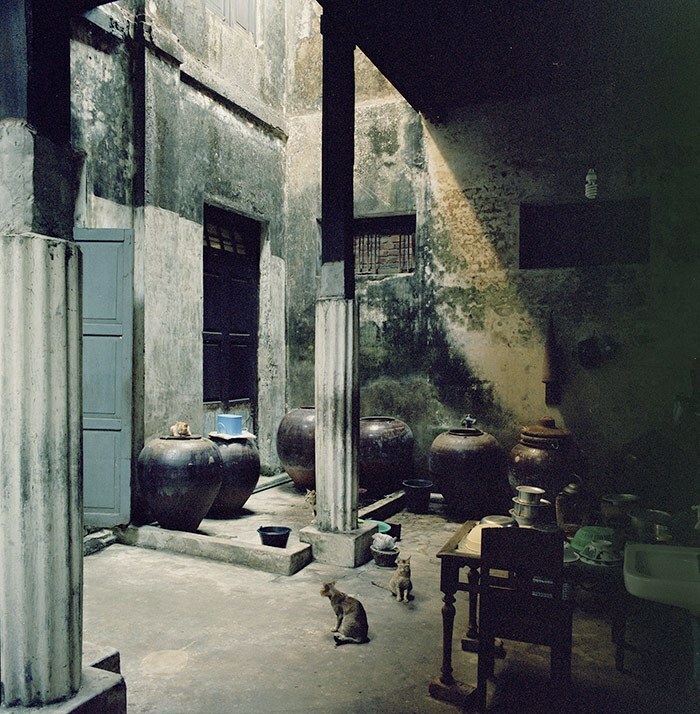 Space and time are inseparably entwined in Minda’s photographs. Time leaves its marks on the rooms, be it in the shapes of the peeling wall paint, the dust or the cobwebs. 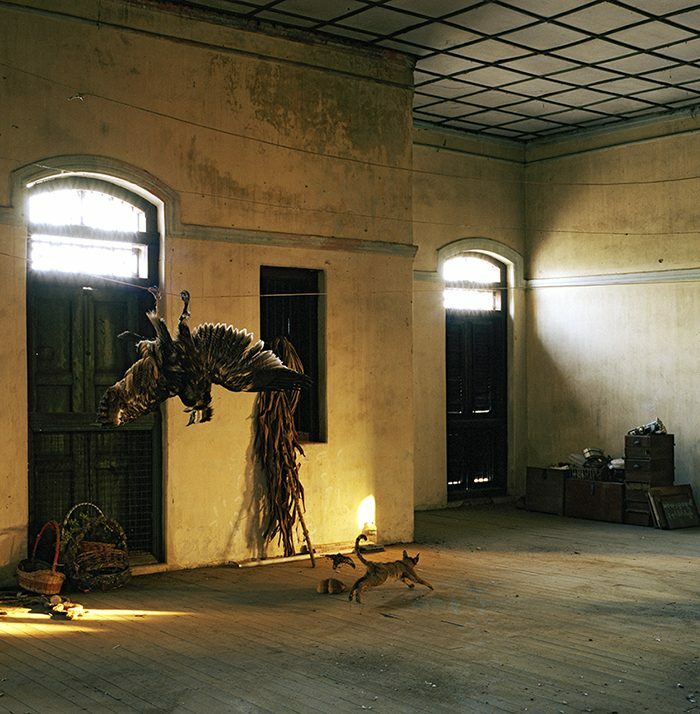 In a way, the room turns into a time capsule which absorbs the past and holds onto it.